When it comes to crafting, I'm not one for paper, glitter, and glue, preferring creativity in the kitchen as my medium of experimentation. When Enjoy Life Foods reached out to me to showcase a fun spring-themed "dirt cups" using their top eight allergen free products just in time for Food Allergy Awareness Week (May 8-14, 2016), I was totally on board, especially when the brownie mix is involved! 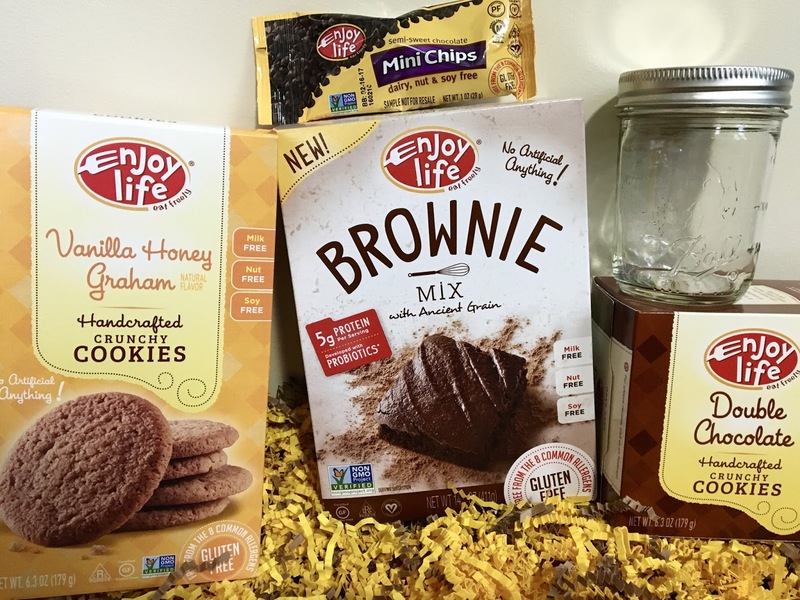 A year ago, I was sent samples of Enjoy Life Foods' newest product line: gluten-free, vegan, top 8 allergen free baking mixes. 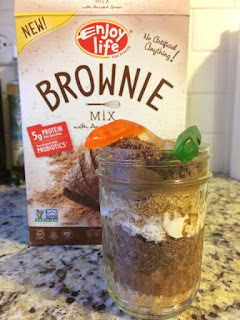 Super simple to make because they only call for water and oil to bring them to life, I definitely loved their ease of use and that they remain allergen-free post baking, unlike many mixes which call for eggs, butter, or other allergens introduced. 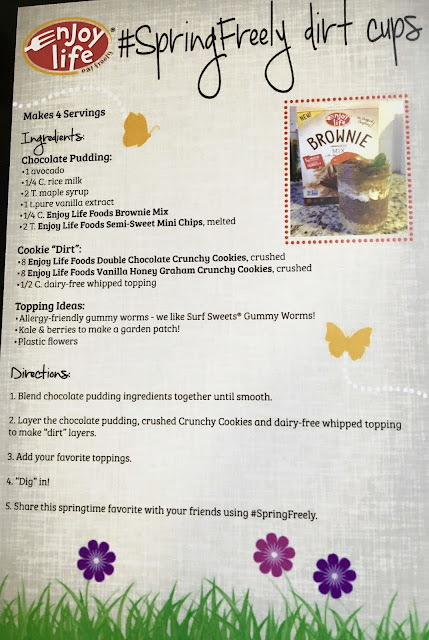 To read my full review of four of Enjoy Life Foods' baking mixes, click here. What's cool about these dirt cups is that they are super simple to make and definitely appeal to kids of all ages. Because they're allergen free, they also are appropriate for people with various dietary restrictions. Why not prepare a couple to celebrate Food Allergy Awareness Week and Celiac Disease Awareness Month (also in May) together? The basis of the cups is a pudding topped with cookie "dirt" and allergen-free toppings such as gummy worms, shredded coconut, or berries. Enjoy Life Foods gave me a sample of the products used to make a dirt cup. I look forward to constructing mine once the stress of finals is over! What toppings would you put on your jar of dirt? Do share! This review features a giveaway that is not run by The Gluten and Dairy-Free Review Blog. Enjoy Life Foods is the company administering the giveaway and I have no control or influence as to the winner. I was sent a sample of the prize box through my affiliation with Enjoy Life Foods as a blogger.